Taste - Mellow, creamy, cashew nuts, fruity, raison & citrus notes. Fine and crunchy texture. Long finish. 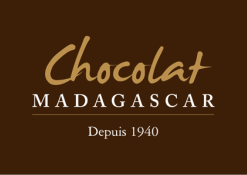 Single Plantation origin of Madagascar – traceable with integrity. No added flavour enhancers eg Vanilla. Less sugar than a 90% cocoa dark chocolate bar. Ingredients: Madagascar cocoa butter , cow’s whole milk powder, cashew nuts Madagascar, cane sugar, Madagascar cocoa beans, GMO free sunflower lecithin. Milk solids 21% min, Cocoa solids 50% min. Allergy advice: Contains cow's milk and cashew nuts.